See also the iPhone 6s smartphone on Jumia. iPhone is a line of smartphones designed by Apple. The first iPhones were released in 2007. Since then, many generations of iPhone models including iPhone 6 have been released. iPhone 6 was released in 2014. Although it’s not the latest Apple smartphone, it's definitely a good phone worth investing in. iPhone 6 features loads of custom software and hardware making it one of the most powerful smartphones. iPhone 6 features a 4.7-inch screen, Apple A8 processor and up to 128 GB storage with a touch ID fingerprint scanner. iPhone 6 has a sleek sophisticated design. It features a 4.7-inch screen. It is made of metal and glass with soft curves. Its thickness of 6.9 mm makes it easy to handle and fits comfortably in a jeans pocket. iPhone 6 screen is great with outstanding colour accuracy. iPhone 6 also features a fingerprint sensor. It comes in three colours which are space grey, silver and gold. iPhone 6 operates on a dual-core processor running at 1.4GHz. Its M8 co-processor is energy efficient which is good for the iPhone 6 battery. iPhone 6 also offers excellent 4G coverage in most places in the world. Games and other everyday Apps like WhatsApp, Facebook, Twitter and browser run smoothly on the phone. iPhone 6 comes with 1GB RAM and 64GB internal storage capacity which is big enough for music, video and photo storage. It also allows playing of games smoothly. If more space is needed you can pay for it upfront. iPhone 6 Rear Camera is 8 megapixels for general photography with the secondary camera being 1.2 megapixels for your selfies. The cameras also feature LED Flash and face detection autofocus. iPhone 6 is powered by a non-removable Li-Po 1810 mAh battery. The battery capacity lasts a whole day on minimum usage. Looking to shop for an iPhone 6 with a store you can trust? Well, shop online with Jumia Ghana and get huge discounts on your purchase. Check out our complete iPhone smartphone collection for mobile phones and accessories. 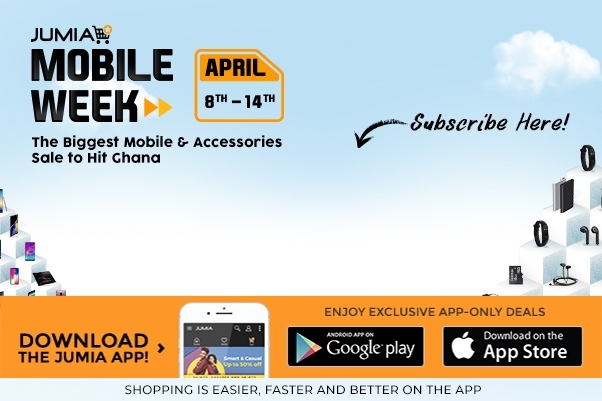 Shop online with Jumia Ghana and have your phone delivered at your home or office and pay cash on delivery.